Here's a list of the most frequently asked questions by our customers, when they outsource photo editing services to Outsource2india. In case the question you are looking for is not answered below, or is not addressed satisfactorily, please feel free to contact us. 1. How do I send you the images or place an image editing order with Outsource2india? You can either scan your images or ship the images to us. Scanning is more cost-effective and fast. If you would like to send us scanned images, then we would recommend that you take the scans at 600 dpi on a quality scanner. 2. How long does it take for your organization to complete an order/ what's the usual delivery time? Quickest turnaround time (8-12 hours) is the USP of our photo editing services. However, time may vary depending on certain factors like project complexity, format, size, etc. Just send us your requirements and we will update you with the estimated time required to complete the order. 3. Who are your imaging customers? We have a range of global customers who outsource their image editing requirements to us. Our prominent customers' list includes, marketing companies, catalogue companies, modeling companies, and photograph studios amongst others. 4. Is there a size limit for image upload? No, there is no size limit for uploading images. Images up to 2 MB can be uploaded on the form itself, and we create an FTP if the file size exceeds 2 MB. 5. Is there any specific format or resolution in which the images have to be sent for processing, and are delivered back? There is no specific format to send or receive the images. You can send your images for processing in any convenient format or resolution. Also, we can deliver the images in any format like CR2, DNG, GIF, JPEG, NEF, PNG, PSD, RAW, TIFF, etc. as per your requirements. 6. Do you do provide free image editing samples or trial photo editing? Yes, we provide no obligations and free of cost small samples so that you can understand our work quality. 7. Do you charge on per project or per image basis? The prices for project or individual images vary on a number of factors. Just for an indication, the pricing for HDR image editing usually ranges between USD 0.55 to USD 3.50 per image, depending on the input image type. If you want a free trial, please send us a few sample images with editing requirements. The trial will help you evaluate the quality of our work and we will also be able to provide an exact quote. You can send us the images with editing requirements through Dropbox or Wetransfer.com. For regular work, we can create a dedicated FTP space for you. 8. What are your working hours? Our usual work timings are from Monday 7.30 PM EST (6 AM IST) to Saturday 3.30 PM EST (2 AM IST). But, we are open to do work on weekends if we are informed about the same on Thursday evening or Monday morning. 9. What are your payment modes? Payment modes are PayPal, Credit Card, and Wire Transfer. 10. My clients are very discreet, so I assume that you do not brand the images as your own or send them to any third-parties? We take confidentiality, copyright and privacy very seriously. We would not merge, publish, distribute, sublicense, sell or disseminate images to any third-party. 11. What are the quality control processes at Outsource2india? We follow stringent quality control processes at every stage to ensure that customers are provided with high-quality image editing services. 12. What are the benefits of outsourcing image editing services to O2I? Outsourcing photo editing services to O2I offers you many advantages. You can high-quality and professional services delivered by skilled and trained image editing professionals at pocket-friendly prices, get your images enhanced using advanced photo editing software in state-of-the-art image editing infrastructural facility, within quick turnaround time. 1. What type of image editing services do you offer? We have over a decade of experience in providing professional photo editing services such as, post processing of real estate images, image and photo manipulation, digital photo enhancement, raw images conversion, photo restoration, path fixing services, and more. 2. What are the major image editing software you use? We use the latest photo editing software such as, Adobe Photoshop CS6, Adobe Photoshop CS6 plug-ins, and PTGui Pro, amongst others. 3. Will the original photo be altered in any way? No, we take care not to alter or damage your original photo. All our image editing services are conducted digitally, and after finishing the editing or restoration work, we will send you the unmodified original photo as well. 4. Do you perform photo restoration & image modification of products and commercial photos? Yes, we have large experienced team to perform photo restoration services and image modification services for commercial photos. 5. Will you be able to restore damaged, torn, faded, or stained images? Yes, we can restore any kind of photos using custom imaging techniques, and provide accurate restoration of all kinds of images despite them being torn, faded, hand-drawn, damaged, or stained. 6. Can you also work with negatives and slides? Yes, all you need to do is just send us your slides and negatives, and we will scan them. We can use your slides and negatives to make any changes you need. 7. Will I be able to suggest changes or see the results after image enhancement? Yes, once we complete the work, we will send you the completed images. 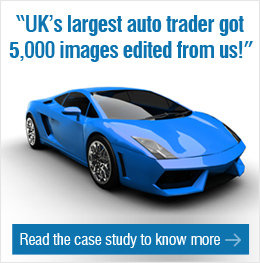 After having a look at the images, you can suggest changes to our image editing team. They will work on the requested changes and send the revised images. Outsource image editing services to O2I and give your organization a competitive edge. If you are interested in our image editing services, simply fill in the imaging form on our website and we will contact you within 24 hours.